This again was a first purchase for me. I bought it because of price, and at the time I thought I was really unloading to get this thing ($69). This bag has been good to me, but it is way to heavy. (Yes, it is a synthetic bag.) Other than the weight, the only real downfall I see on this bag is that it is a 20* bag but does not feature a draft collar. The lack of this feature allows all the warm air to escape any time I have to move around inside the bag. 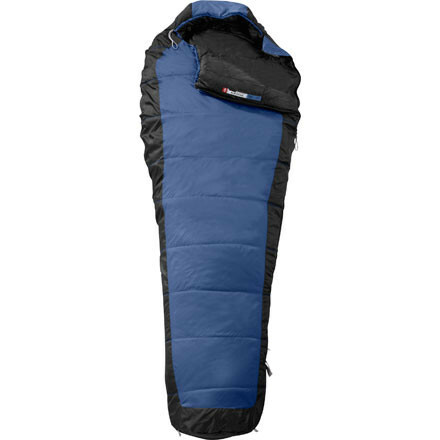 In my opinion a draft collar or a really well designed system is necessary in a sleeping bag that is supposed to take you below freezing. My full review can be read here.